Even when I use a new consequence and it worked, after a few months it just isn’t as effective. I always feel as a parent I have to stay a few steps ahead of my kids and keep them on their toes. A new consequence every once in a while can really make them start thinking. 1.Make the sibling’s bed or do their chores – When the poor behavior is being mean to a sibling a great natural consequence is that they have to do something for the sibling. I use making the other’s bed or doing the other kids chore for the day. I tried this and I found that the offended sibling really likes this as a punishment for the sibling that bothered them. They can then get over the issue really fast because they feel vindicated. 2. Early bedtime/No books – This one works great for my older boys. They really like to stay up later than their younger sister so it is painful to them to have to go to bed the same time as her. And that’s when I realized this is a great punishment for the two older boys…when they really fought it. For a punishment to be effective it has to be a real pain point for them and this is one my boys best ones. 3. Pay to Fight – I have always loved the book Love & Logic by Foster Cline. I highly recommend it. One of my favorite tips is to charge kids $1.00 a minute to listen to them fight. If they don’t have the money they must earn the money by doing chores. 4. Writing Sentences – Let’s go old school here. Writing “I will not disrespect my mom.” 50 times can be a great incentive for them to not do it again. 5. Extra Chores – There are all sorts of systems for this method. Some assign tasks based on the offense. Such as not listening means 1 room of baseboards cleaned. Some have a jar filled with slips of paper with chores on them and the child must pick a chore out of the jar. 6. No PlayDates – I have never been able to do this because I feel it punishes another child who has been planning and looking forward to it but sometimes we need a total reset. I actually have done something really sneaky to make this work for us. It worked great and whenever my son wanted to meltdown over those same issues (which socks to wear..go figure) I would remind him of what happened last time. 7. Positive Incentive Charts – I had to add this because we all know we are supposed to reward positive behavior and hope it limits the punishments needed. I completely agree but let’s get real…we sometimes need punishments for kids with bad behavior too. Let’s just make sure we are rewarding the good behavior in our house at the same time. Download the free cheatsheet with my favorite parenting tip from each of my 4 favorite parenting books! If you are wanting to set some routines, fight entitlement and discover your kids “currency”, check out Becky of Your Modern Family’s Parenting Manual 101 course. She has game changing ideas for setting boundaries and setting up a loving environment in your home. There are also professional parenting coaches. I think this is the way of the future. We have therapists and life coaches, why not parenting coaches? It doesn’t mean we are not good parents. Sometimes it just takes an outsider to see all the dynamics of your family to be able to come up with a plan and goals that you wouldn’t have been able to think of because we are too immeshed in the emotions of our own issues. If you have any other ideas that work for your family please share in the comments. I would love to hear. 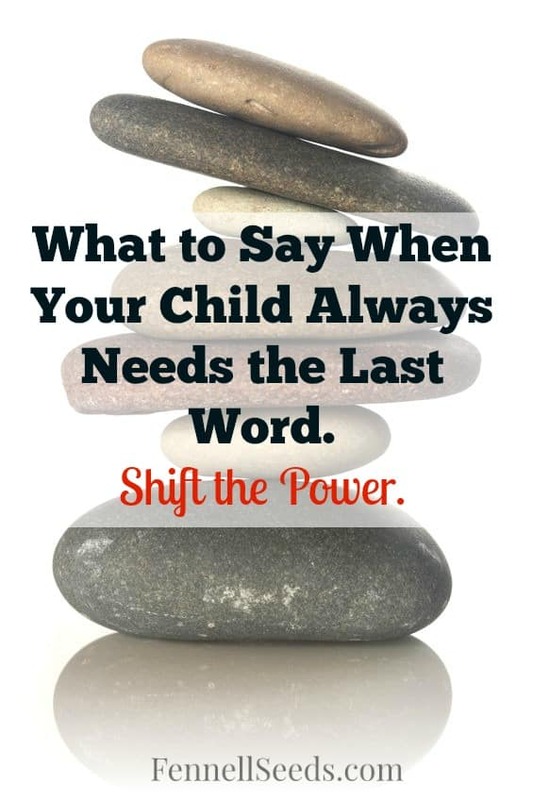 Does your child always need the last word? One sentence that ends the battle. There are some REALLY great punishments on here. I will definitely make my oldest do something nice for his younger brother when he decides to be mean. And I really can’t wait to try writing sentences. And positive incentive charts worked really well for potty-training so it couldn’t hurt to try! Thanks for sharing these. So glad you liked the ideas! I highly recommend the book/class Parenting Effectiveness Training by Thomas Gordon. It’s not about control. They are free to make their own choices. All people, not just kids have to learn the relationship between actions and consequences. If I speed, I get a ticket. If I don’t pay my bill on time, I get a late fee. Grown up consequences can be much worse. I want my children to learn how their choices effect themselves and others before they become teenagers and adults. I have personally seen an adult that developmentally never learned this concept and just some of her consequences have been jail and loosing her children. (I adopted them). Now her children and our family are dealing with the consequences of her choices as well. Obviously this is an extreme example but it’s still the truth. Nearly all prisoners report being punished as children. Almost 80% of prisoners reoffend within 5 years of being released from prison because modern psychology and studying brain development shows that punishments aren’t effective for actually teaching respect and problem solving. It’s important to teach those skills as children when the natural consequences aren’t severe instead of just punishing and deterring with punishments. Spending your time coming up with a list of punishments instead of connecting, setting boundaries, and teaching problems solving robs them of the chance to build a foundation of building internal motivation to do the right thing instead of just avoiding punishments. Do you drive the speed limit because you are afraid of a ticket or because you know it’s safer? All you teach children by punishing them is manipulation and disconnect. Eg.Child losing 5mins of screen time for bad behaviour. I often forget to watch the time so basically turn of TV or Game right at the good bit. Child then is given option to win back screen time with good behaviour 1 min at a time. Another punishment is to reward the other kids behaving well. Eg. Child refused to eat breakfast so lost any morning snacks before lunch. I purposely took the kids to a bakery for morning tea to pick out a treat, which unfortunately the bad behaving kid missed out on. Never missed breakfast again! Win. Another punishment was if misbehaving on the way to school, they would have to hold my hand the rest of the way, even into the school gate. Not cool for 10yr old boys! Only had to do it once. Last one…after always having to nag the kids to get dressed for school I decided to call their bluff and go with it. The new rule was that whatever they were wearing when it was time to leave (be it PJs or uniform), was what they had to wear to school. Never had a problem after that, just maybe the odd rule reminder 5mins before leaving time resulting in a frantic rush to change clothes! I sometimes let my kids earn things back too. Some great ideas. Not being able to carry out Number 6 I think is one of the biggest problems in parenting. There is a big misconception that taking away after school activities, sports-yes even the soccer game that week, play dates, etc is the parent punishing the team, playmate, etc. This is not true, it is very important for the child to know the parent in fact did nothing. It is the child’s choices that cause the playmate to miss out, the team to miss one of their players. It is very important for children to know that their parents love them too much to have a limit to what they will in fact take away from them. This is especially important as they get much older like middle/high school. Knowing there is nothing that is really super important to them the parent won’t consider taking away as punishment if appropriate is powerful. You have some great ideas for punishments here! My 5 year old has really been giving us a run for our money since school started but I think these will work! My favorite though is your explanation of the last one. We saw a therapist that told us our son needed to earn all his privileges. That’s all well and good but honestly if that were the case there would be weeks where he’d just be sitting with his head down on the table with no privileges earned and would still be getting in trouble left and right. Praise is great but I still think there is a time and place when punishment is necessarily. Call me old school! I seem to be resorting to a mix of positive and punishments too. It’s so hard to figure it all out. The struggle is real! I have a creative parenting behavior modification tool to share. I am sure I am not the only one who can’t stand the smell of a sour towel on the floor. I want them to learn to respect their things and the things that belong to others. Having my carpet, floor and towel smell like mildew is certainly not respectful. Both girls have their own color bath towels, this way I know who made the mess. If I find a towel on the floor, I take it and replace it with a hand towel to dry off with for a week. Only one time did my oldest daughter leave the hand towel on the floor a few days later. She was given a wash cloth to dry off with for the day until she could earn back her hand towel. I believe I have only had to take the big towel twice this year. She is eleven and the youngest is eight. I started this 2 and a half years ago. They end up almost begging for the towel back and then they stay in line for a long while. You have some great ideas hear! One that I have done for a while fits into number four, writing. When my older kids swear or say something mean, they have to write 5-50 ( depending on age) synonyms or other ways to say what they wanted to with out swearing. It can be words or sentences what ever fits the situation. We have a note book, thesaurus, and dictionary for this. Now they come up with some creative or more accurate ways to express themselves. When they swear or misbehave out of frustration, They get the choice of learning new coping skills or a punishment or learn new coping skills and 1/2 the punishment. They always choose to learn. It’s important to give them the choice so they don’t see learning as a punishment. They are choosing to grow as people by learning helpful tools they need for adulthood. Isn’t personal growth and good choice making really what we want in most situations? My daughter often chose creative writing instead of losing electronics for the day. In creative writing she could swear or write about they way she would handle a situation that frustrated her if she had superpowers. Her favorite was to write what she wished she would have done or said in a certain situation. It really helped her to be more assertive, and to communicate better, which in turn left her less frustrated. She is a Senior in Highschool now and in advance placement English classes. She is going to collage next year for photo journalism and writing. I do the same with my son, but he tells a story instead of writing because his writing skill aren’t strong and a writing activity would lead to more frustration. It’s important to curb bad behavior before it happens. We have a rule. Try twice then ask for help. 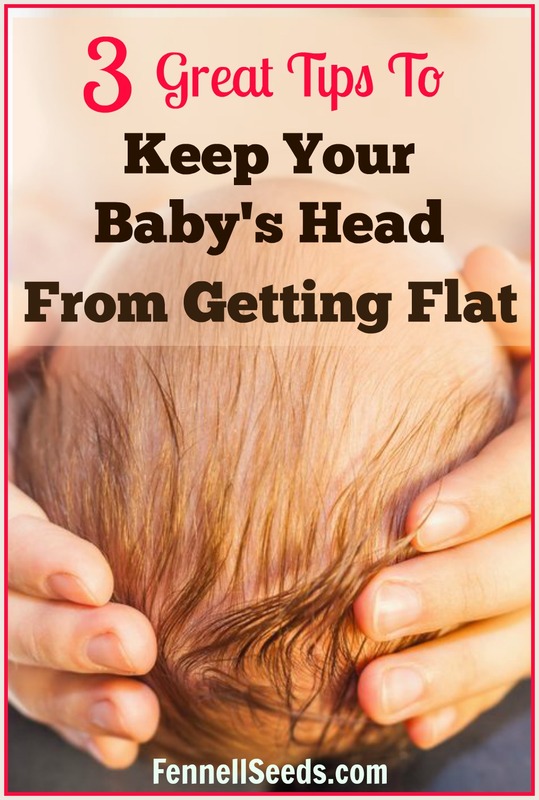 ( I have a child with special needs who gets frustrated easily.). This prevents some meltdowns. It would work great with toddlers. If bad behavior happens because of frustration I remind them of our rule and we come up with better ways to handle situations like that. Sometimes there are punishments too, but it’s important to make sure we are teaching them ways to handle situations that make them act out. Especially if it’s a behavior that happens often. If they are disrespectful to me they get one of my Daily chores or extra chores like scrubbing grout and washing walls. Don’t you think, Lots of Love and let them feel guilty is missing in the above points?